Snoring is the vibration of respiratory structures, the sound produced from obstructed air movement in breathing while sleeping. The obstructed air path will hinder your ability to efficiently allow air to pass through, resulting in disturbed sleeping habits. To address this problem a snoring mouthpiece may be used to assist in yournighttime breathing habits. 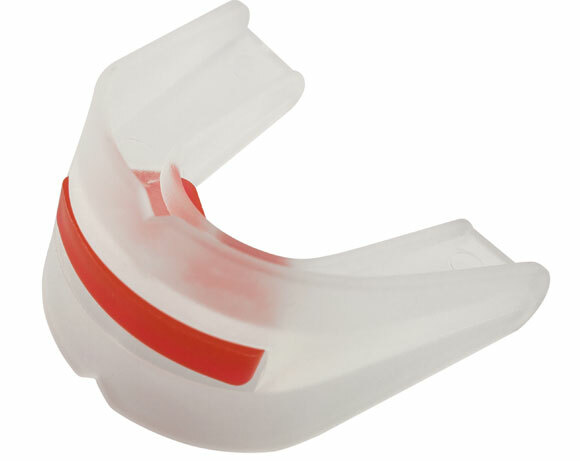 A snoring mouth guard puts the lower jaw into light tension to bring it forward, providing more space in the jaw -hence the muscles and tissue in the lower jaw area can no longer sink to the back of the throat. By establishing a clear airway, the snoring sound will not be produced. To ensure the mouth guard is suitable for your specific teeth, jaw and mouth shape, the dentist will take an impression of your teeth to have the mouth guard customised for you. This mould will be sent to a professional clinic, where they will custom make the mouth guard, send it back to our dentist, who would alter (if necessary) and fit it for you. Your snoring mouthpiece should also be cleaned daily before and after each use and stored in a cool, dry place. There are cleansing gels, rinses and cleaning brushes appropriate for daily cleaning to ensure your mouthguard is bacteria free with each use. It is important to conduct good oral hygiene practices once you have chosen a certain snoring mouthpiece. Small nutrient particles and left-over food may remain in your teeth from inattentive brushing, making an easy breeding ground for bacteria. When pressed against the teeth (by the mouthguard) the bacteria will spread more quickly, damaging the tooth.